Bright spirits can join forces to create their own reality, holding Time and harsher realities at bay. 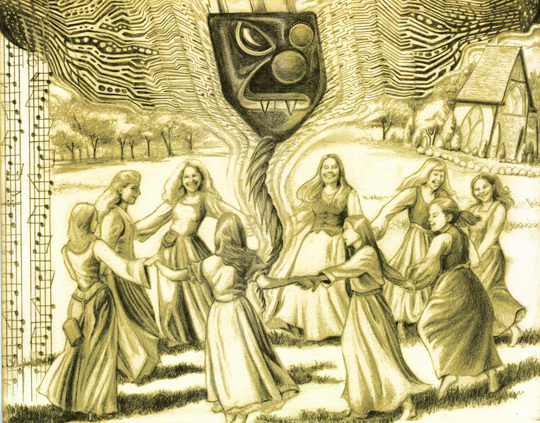 This drawing depicts maidens at a Renaissance Festival, dancing in a circle that constrains the Bogie of another time from interfering with their fun. Their message: Make Fun!